해인사에 모셔져 있는 이 석불입상은 광배(光背)와 대좌(臺座)가 없어졌을 뿐 아니라, 목이 절단되고 어깨와 두 팔이 모두 깨졌으며 발도 없어졌다. 민머리에는 작은 상투 모양의 머리(육계)가 있고, 얼굴은 긴 타원형으로 많이 닳고 손상되었다. 머리에 비하여 왜소해진 몸은 굴곡이 거의 드러나지 않아서 마치 돌기둥 같은 느낌이 든다. 좁아지고 각진 양 어깨를 감싸고 있는 옷은 양쪽에서 비스듬히 흐른 선이 중심에서 만나 날카로운 V자형을 이루다가, 허리 부근에서 U자형으로 바뀌어 두 다리 사이로 흐르고 있다. 오른손은 팔꿈치를 꺾어 가슴 앞으로 들었고, 왼손은 내렸는데 두 팔은 몸에 바짝 붙어 있는 모습이다. 이 불상은 신체 비례의 불균형, 평면적이고 형식화된 옷주름 등에서 통일신라 후기의 불상양식을 보여주는 작품이다. 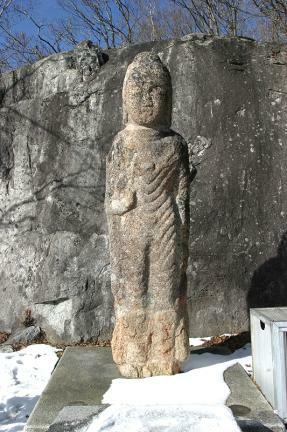 This Standing Stone Buddha of the Haeinsa Temple is without its original features, such mandorla, pedestal, neck, arms and feet, which were broken off from the torso. 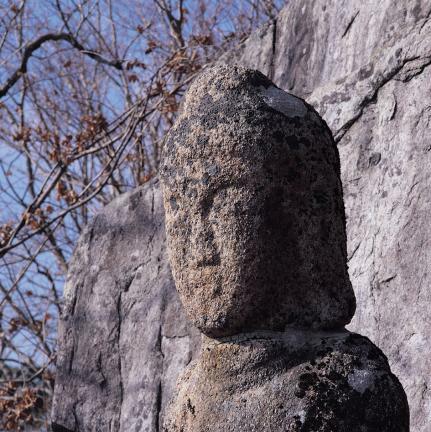 The usnisa (a protuberance symbolizing supreme wisdom), shaped like a topknot on the baldhead, is relatively small. The face is in a long oval shape including the hair, but it is also worn out and damaged. 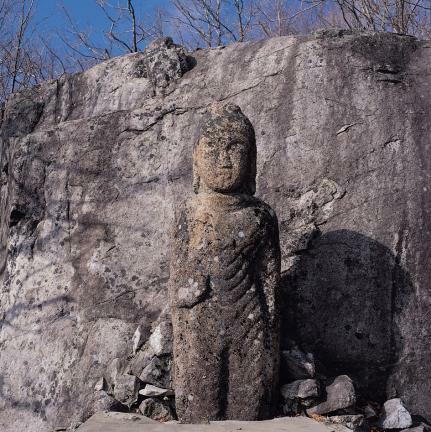 The body, which is disproportionately small, looks like a stone pillar with hardly any curves. The right arm is bent at the elbow with the hand held to the chest. The left hand is held down and both arms are attached to the body. 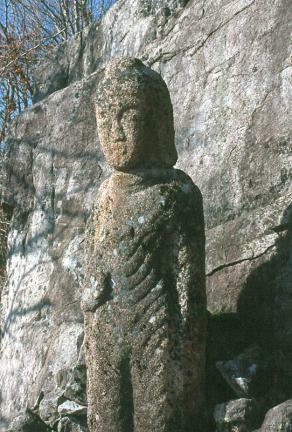 The robe covering the narrow square shoulders hangs down from the shoulders at an angle to shape a sharp 'V' that changes into a 'U' at the waist, flowing in between the legs. 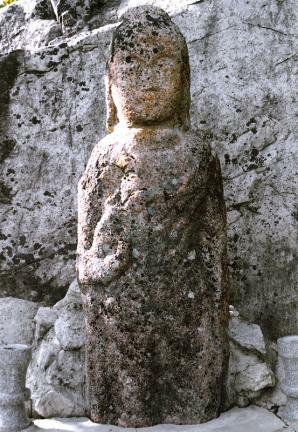 With a disproportionate body and simple formal robe, this is an important piece showing the style of Buddhist statues during the late Unified Silla period.